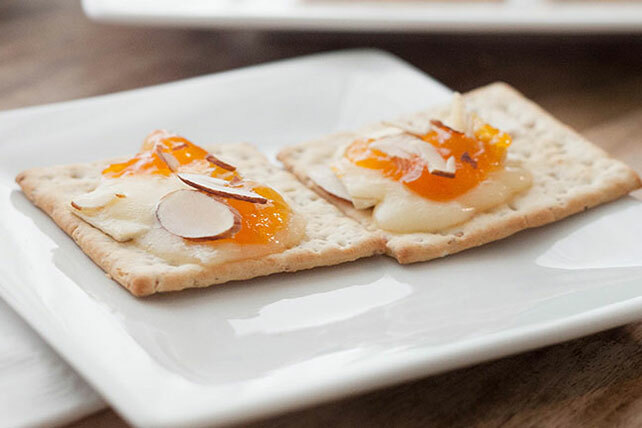 Just 4 ingredients—crackers, brie, apricot preserves and almonds—and voilà! You have one sophisticated appetizer! Preheat oven to 350°F. Top each cracker with 1 piece of cheese, 1/2 tsp. preserves and a few almond slices. Bake 2 to 3 minutes or until cheese is melted. Prepare as directed, using raspberry preserves.